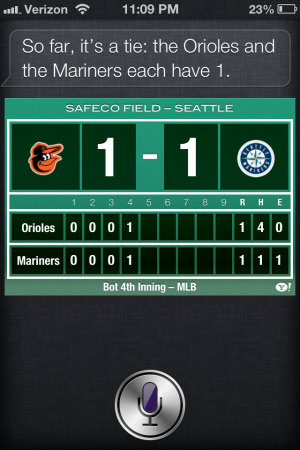 Finally was able to get iOS 6 up and running on my phone, and gave Siri a go at telling me the Orioles Mariners score from the game tonight. Siri is happy to report the game is tied, but that the Orioles should be up by more. So far so good Siri, but you sound a little strange now. 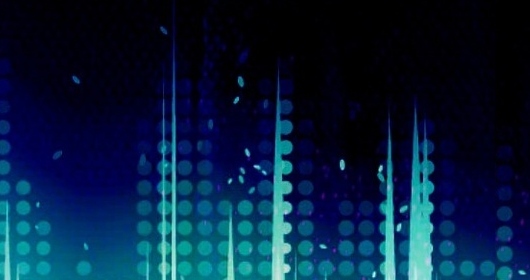 So will this be the end of listening to sports on the radio and watching on TV? Siri, the new sportscaster for the 21st century. More here about the new iOS 6.